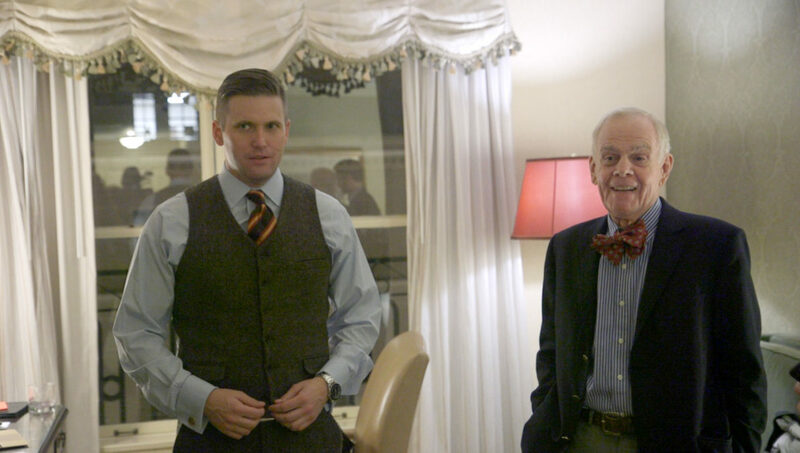 Richard Spencer (left) and William H. Regnery II, shown in a documentary by The Atlantic, have been instrumental in pushing white nationalism into the spotlight. In 2011, Regnery made Spencer the director of his white nationalist think tank, the National Policy Institute. Fast forward to 2016. As the Trump campaign gained momentum, Spencer, with Regnery’s support, emerged as the omnipresent face of the American far right: a glib talking head whose views on issues of immigration and race at times seemed only slightly more extreme than what you could read on conservative website Breitbart News – or hear from Trump himself. Turn on the TV or go online, and there was Spencer: holding forth on white identity politics on yet another talk show; crying, “Hail Trump!” in a fiery post-election speech; getting sucker-punched by a leftist demonstrator at Trump’s inauguration; and, most recently, leading a torchlight march to protest the planned removal of a Confederate monument in Charlottesville, Virginia. Regnery has played a “vitally important and indispensable” role in building the alt-right movement, Spencer said in an interview. He has provided substantial donations and big-picture advice, Spencer said. They talk every week, sometimes every day. “I don’t think I would do a big thing without consulting him,” Spencer said. Regnery, 76, declined to be interviewed. But in public, he has expressed delight with Spencer for leveraging Trump’s election to obtain a flood of media attention for his extremist views. As Regnery told white nationalists at the Washington, D.C., conference he hosted in the days after Trump’s election, he believes his place in history has been secured by the simple decision to put Spencer in charge. “I am now persuaded that with your courage, the alt-right side of history will prevail,” he said. Just one year before Trump began running for president, Spencer and Regnery were struggling to jump-start their political movement. In 2014, they planned to convene what they called a European Congress of the white nationalist movement. When they descended on Budapest, Hungary, the result was chaos and humiliation. According to their plan, the grand imperial facades of the Hungarian capital would be the backdrop for an international conference of white “racial realists” in a Europe roiled by waves of refugees fleeing the Middle East. Regnery, Spencer and Jared Taylor, the self-described “racialist” editor of a white nationalist website, were scheduled to speak. Joining the Americans on the podium would be a Russian fascist known as “Putin’s brain” – Alexander Dugin, an adviser to Russian President Vladimir Putin. No heat was anticipated from the government: Hungarian voters had just handed another supermajority to the European Union’s most right-wing leader, Prime Minister Viktor Orbán, a Putin ally. But it all unraveled. The Hungarian Interior Ministry banned the event, declaring it openly racist. Regnery was intercepted at Budapest’s Ferenc Liszt Airport, held overnight and deported. Dugin was denied an entry visa. Spencer entered the country by train, then was picked up in a police raid and handed over to immigration authorities. “The government thought that it was a CIA plot,” a source with inside knowledge of Hungarian counterintelligence told Reveal from The Center for Investigative Reporting. It was a preposterous suspicion, given Regnery’s own profound alienation from his homeland’s political establishment. 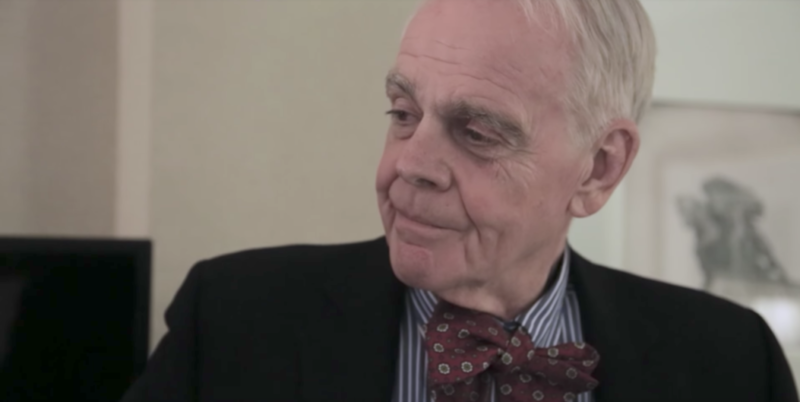 The Regnery family’s political story starts with his grandfather and namesake, William H. Regnery, a Chicago textile magnate. He was a New Deal Democrat, but in 1940, he helped found the right-wing America First Committee, which sought to stop the U.S. from going to war against Nazi Germany. The committee, which attracted Nazi sympathizers and anti-Semites, disbanded when Japan attacked Pearl Harbor. The America First name, meanwhile, has experienced a renaissance as one of Trump’s leading mottos for his presidency. After World War II, Regnery’s uncle, Henry Regnery, made the family a power in GOP politics through his publishing house, which was subsidized by inherited wealth. William Regnery II’s cousin, Alfred Regnery, was an official in the Reagan administration’s Justice Department, then became president of Regnery Publishing. The imprint still exists, under new ownership: Among its recent best-selling authors are Ann Coulter (“Adios, America!”) and Trump (“Time to Get Tough”). Regnery himself plunged into conservative politics at the University of Pennsylvania in the early 1960s. As he wrote in his 2015 memoir, “Left Behind,” he joined the Intercollegiate Studies Institute, a nonprofit set up to recruit Republican activists on college campuses. His family helped endow the institute, and Regnery remained involved for more than 40 years. On the institute’s board, he associated with GOP stalwarts, including former U.S. Attorney General Edwin Meese, Heritage Foundation President Edwin Feulner and Buckley, founder of the National Review. After college, Regnery worked in the family textile business. Court records show he was forced to resign as president in 1981 when the firm ran into financial trouble. After that, he grew disenchanted with the GOP, running for Illinois secretary of state in 1994 on the ticket of the fringe Term Limits & Tax Limits Party. In his memoir, Regnery dated his alienation to a 1993 meeting of the conservative Philadelphia Society. Speakers were celebrating the collapse of world communism and the rise of free-market economies worldwide – triumphs of American conservatism in the age of Ronald Reagan, as they saw it. For Regnery, there was little to celebrate: He feared that the wave of nonwhite immigration that was swamping America would surely doom white people to minority status and impotence. In a 1999 speech at a right-wing conference in St. Pete Beach, Florida, Regnery went public with his racial fears. White couples weren’t having enough babies, he declared, and the government was allowing in hordes of nonwhite immigrants “as if to hasten our demise.” His solution: a reconfigured continent broken up into separate racial and religious enclaves. Soon after that, Regnery founded a nonprofit dedicated to providing “a cultural home for our children’s children,” as he wrote in a founder’s statement. It was called the Charles Martel Society, commemorating an 8th-century Frankish king who turned back an Arab invasion – and thus, in the view of white supremacists, saved European civilization almost before it began. “Feel confident identifying as white” became the motto of the Martel Society’s magazine, The Occidental Quarterly. Its editor, Kevin MacDonald, has written that American Jews are allied with African Americans and Latinos to promote “a suicidal wave of non-White immigration” into the U.S. The society spends about $190,000 per year, tax returns show. Nonprofits are not required to identify donors, so money from Regnery isn’t noted. But Regnery also served on the board of a charity associated with the family’s textile business, and over the years, that nonprofit has donated about $85,000 to the Martel Society, records show. The following year, using $380,000 from the Martel Society, Regnery established the think tank that eventually would bring a notorious white nationalist to prominence alongside the rise of Trump. The institute publishes books and reports, some of them touted as academic studies. Regnery himself co-wrote a study predicting that in the 21st century, the world’s population of “blacks or sub-Saharan Africans” would explode, while the percentage of white people would drop to single digits. Like the Martel Society, the institute was a low-budget operation, spending about $170,000 per year, according to tax documents. In addition to the cash from the Martel Society, it obtained about $90,000 from Regnery’s family foundation. The Pioneer Fund, a nonprofit founded in the 1930s by promoters of the eugenics movement, has donated about $30,000, records show. Even as his politics drifted to the edge, Regnery still had ties to mainstream conservatism through his work on the board of the Intercollegiate Studies Institute, the organization he joined in college. The final break came in 2006, after he gave yet another racially charged talk about immigration and demographics, this time in Chicago. Fearing scandal, the institute asked Regnery to resign. When he refused, he was voted off the board, with such GOP luminaries as former attorney general Meese and the Heritage Foundation’s Feulner supporting his ouster. His cousin, the former Reagan official, abstained. Aggrieved, Regnery blamed “the velvet tyranny of political correctness” for his expulsion. It was all the more painful because he had known the people who voted against him for decades. Until 2010, Regnery relied on Louis Andrews to run his National Policy Institute. A retired mortgage broker, Andrews believed public school for most black children should end after eighth grade because they couldn’t benefit from it. 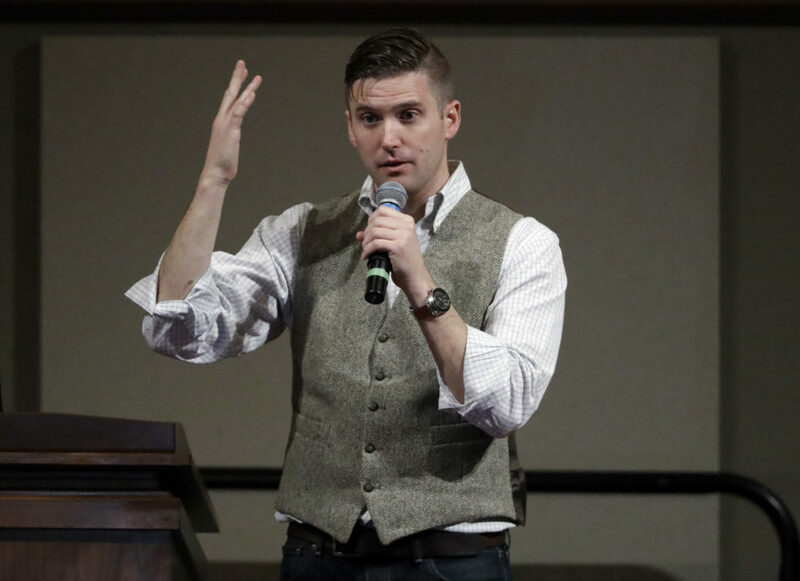 When Andrews became gravely ill with cancer, Regnery turned to a young right-winger he had met at a private event the previous year: Richard Spencer. Like Regnery, Spencer was a child of privilege. His father was a wealthy physician in Dallas, and, as Reveal has reported, through inheritance Spencer is part owner of Louisiana cotton fields worth millions of dollars. Spencer had received an expensive liberal arts education. His last academic stop was Duke University, where he pursued a Ph.D. in European intellectual history – and where, as he told Mother Jones magazine, he was radicalized by reading white nationalist literature. In 2007, Spencer dropped out of Duke “to pursue a life of thought-crime,” as he put it. He worked briefly at The American Conservative, a journal co-founded by former Richard Nixon aide Pat Buchanan, then was managing editor of a libertarian website published by a jet-setting heir to a Greek shipping fortune. Later, he set up his own site, alternativeright.com. Spencer said he told Regnery that he hoped to use the National Policy Institute to “make a dramatic break from the conservative movement” by emphasizing white identity politics. After Spencer took over, he moved the think tank’s headquarters to his mother’s luxury home near a ski resort in Whitefish, Montana. Spencer drew no salary from the institute for his first two years. In 2014, the year of the abortive Budapest conference, his annual pay was $7,900. Especially after the disappointment of Budapest, there was little reason to believe that alt-right ideology as pushed by the National Policy Institute would break out into the mainstream. But as Spencer recognized, Trump’s emergence as a presidential candidate prefigured a “paradigmatic shift” in American politics. When political reporters, seeking to understand this new phenomenon, reached out for comment from the alt-right, Spencer was happy to help. In his writing and public statements, Spencer has seemed in perfect sync with Regnery’s nightmare vision of an endangered white minority – and with Regnery’s dream of creating a white North American homeland. Freelance reporter Dan Nolan contributed to this story from Budapest. It was edited by Andrew Donohue and copy edited by Nadia Wynter and Nikki Frick.